A piece of UNM history. posed for a group photo during the recent 2017 Recognition Reception. It’s been over 40 years. Can you imagine all the people Debbie Morris has met at UNM over the decades, not to mention the change in clothes they were wearing? With as much change as she has seen at the University, one thing has remained the same and that’s why she’s grateful. “Everything is crazy right now,” said Morris from her office in the Student Activities Center on the first floor of the Student Union Building. The office is buzzing as it prepares for another round of New Student Orientation, as well as planning this year’s upcoming events that help students “make the memory.” First up, Back to School Days as a fun welcome for the students returning to campus. It’s Morris’ favorite time of the year. 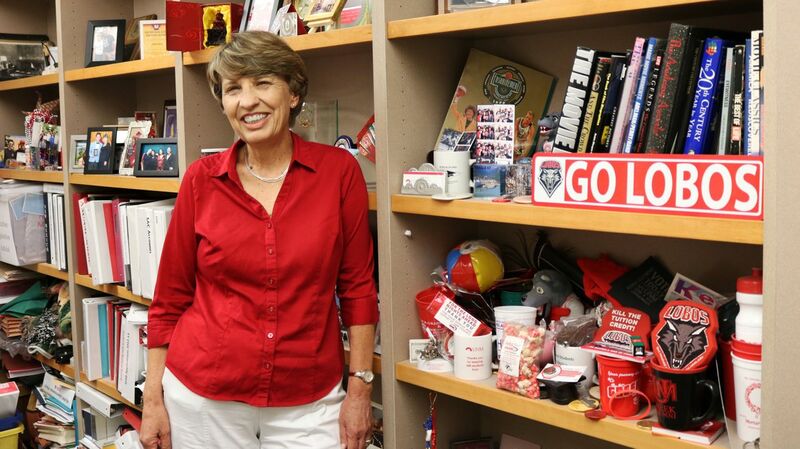 When I asked her what she’ll miss about UNM after she retires at the end of July, it quickly became not a what, but a who—and that’s the students. She was emotional, and suddenly I was too from her genuine feeling of appreciation for the generations of Lobos she has watched grow-up. But one could argue she was one of those Lobos who has grown-up here, too. 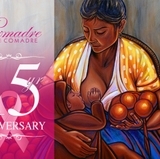 Monday, July 31 from 4:30 to 6 p.m.
Share any stories or wishes in the comments section of this Facebook page. That first start was in the fall of 1973 when the Vietnam War was ending, bellbottoms were the fashion and supergroups like the Rolling Stones and Pink Floyd were making headlines. Politics were also front and center with the Watergate Hotel finding its place in history. Graduating with a bachelor’s in Business in 1977, Morris went into banking and in 1979 she decided to use her talent for numbers to work in the Bursars Office at UNM as an accountant. 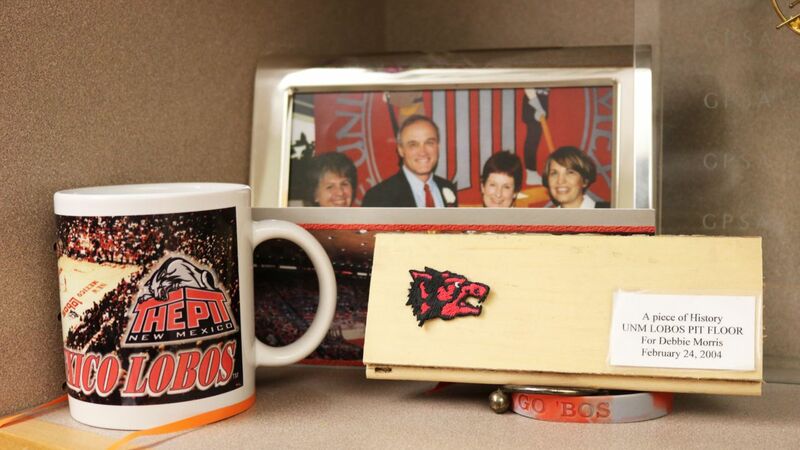 She took one more stab at life outside the Pack, but quickly returned in 1983 to work in the Student Government Office. I had to become an accountant myself to figure out just how long Morris has been in her current position—she became Director of Student Activities in 1991. And coincidently if you google fashion for that same year, bell bottoms tried to make a comeback. 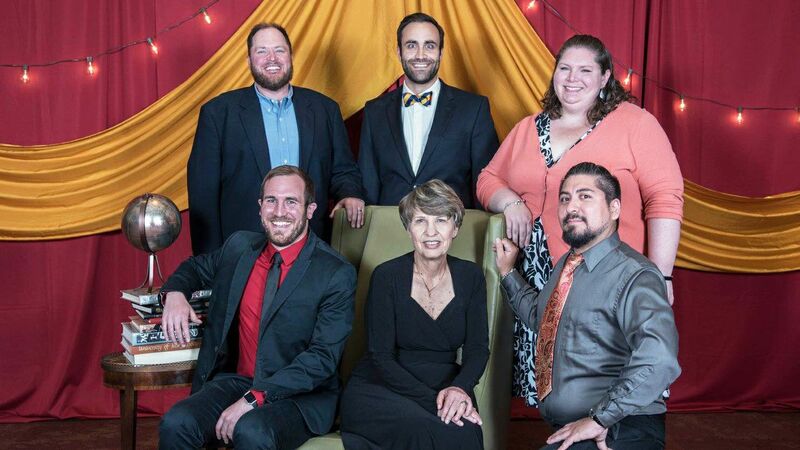 Students have always given Morris a sense of purpose and belonging and that’s what has kept her at UNM for 37 years. Having a good laugh recalling some of her favorite memories, Morris said many people have asked her if she is going to write a book about some of the craziest things students have done. “Some I have promised I’d never divulge in public,” she said with a large grim—no doubt remembering a student and the now giggle-worthy experience. She also talked about the very first Red Rally bonfire she put on with the students. When I asked her what year that was, she mentioned, “I think in terms of students not in years. I can tell you there was a very young Kevin Stevenson there.” Stevenson is a current UNM employee. I could agree more as I am one of those students myself. 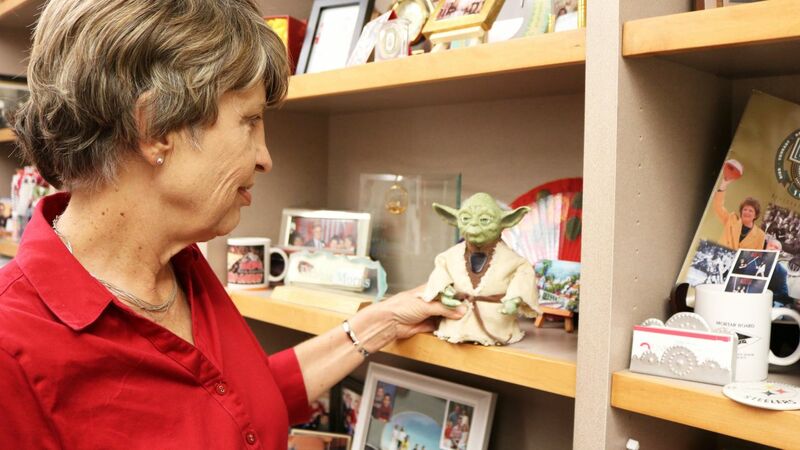 Before asking Morris the cliché retirement question about travel plans—which she has many exciting trips planned—I asked her about the countless Lobo tchotchkes on her office shelves. 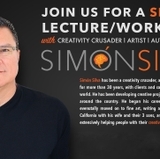 “I learn from the students. It keeps my spirits up. They do wonderful things, like travel all over the world. These are gifts they have brought me. I can put a name to every item, they all have a place in my heart. Although, I had to stop collecting mugs, that got way out of hand,” she laughed. Before I wished Morris all the best in her retirement, she reminded me why she has stayed so long and it’s something that has been consistent throughout her tenure on campus and that’s having the opportunity to witness the lasting effects of the college experience on young people. On a side note, it would be erroneous of me as a writer not to mention Morris’ love of Star Wars.